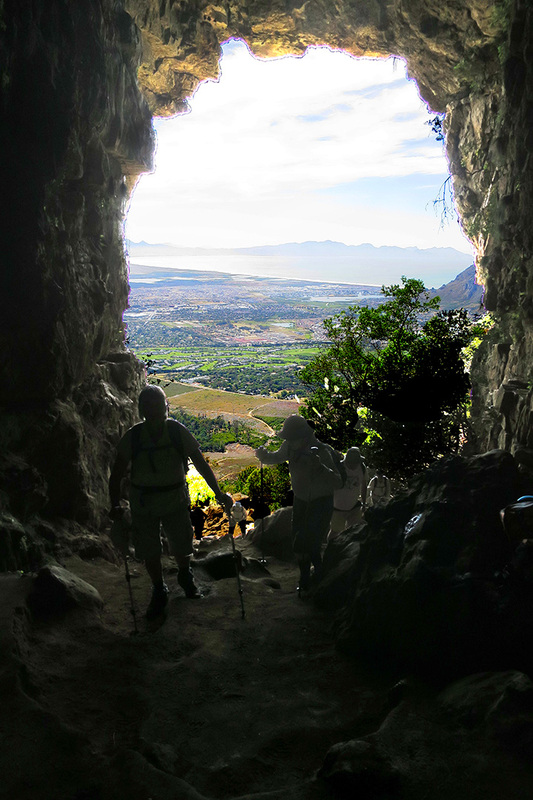 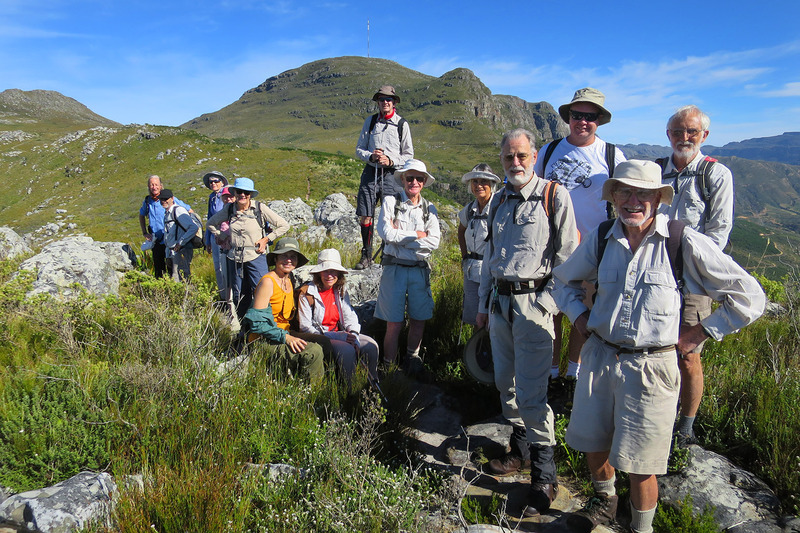 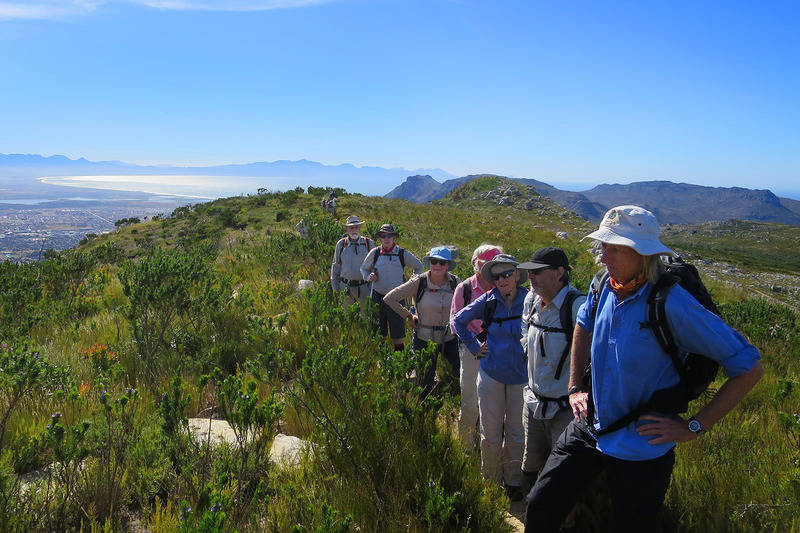 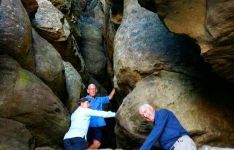 We set off up the Steenberg Ridge from the Silvermine Dam parking lot at 08h15 on a beautiful day, headed for the Elephant’s Eye Cave. 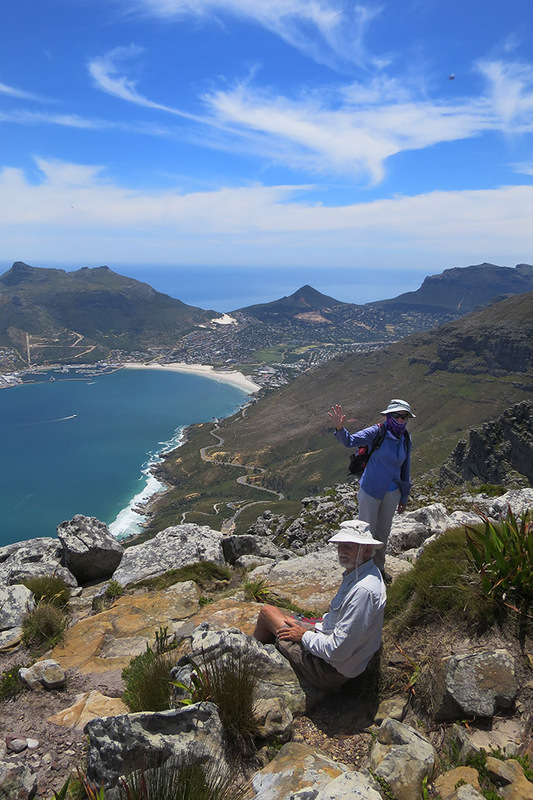 Our tea-time there was disturbed by about 120 Rondebosch Boys Junior School pupils noisily arriving, causing us to head down and around to the ex-Outlook Platform overlooking Hout Bay. 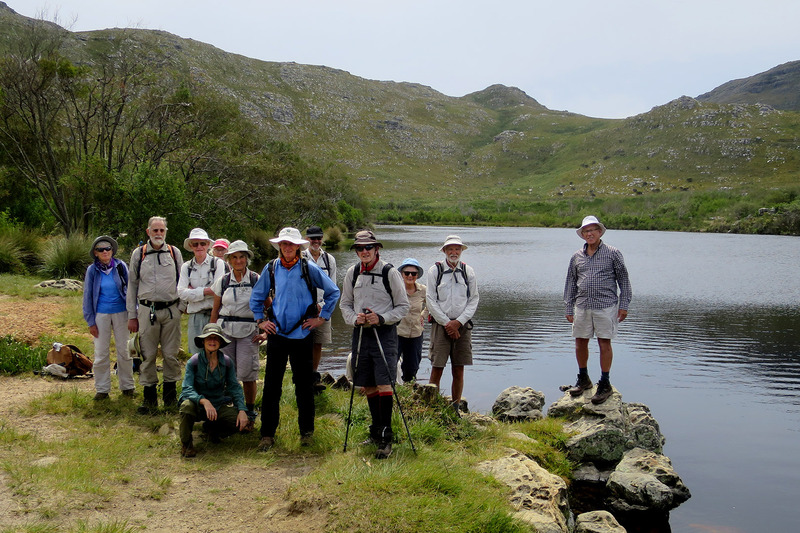 This was the start of the Panorama route heading for Noordhoek Peak. 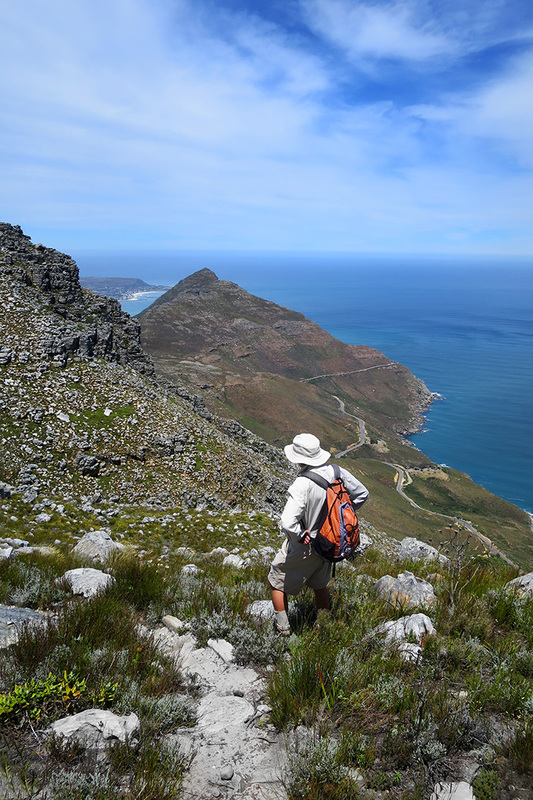 No eagles were seen. 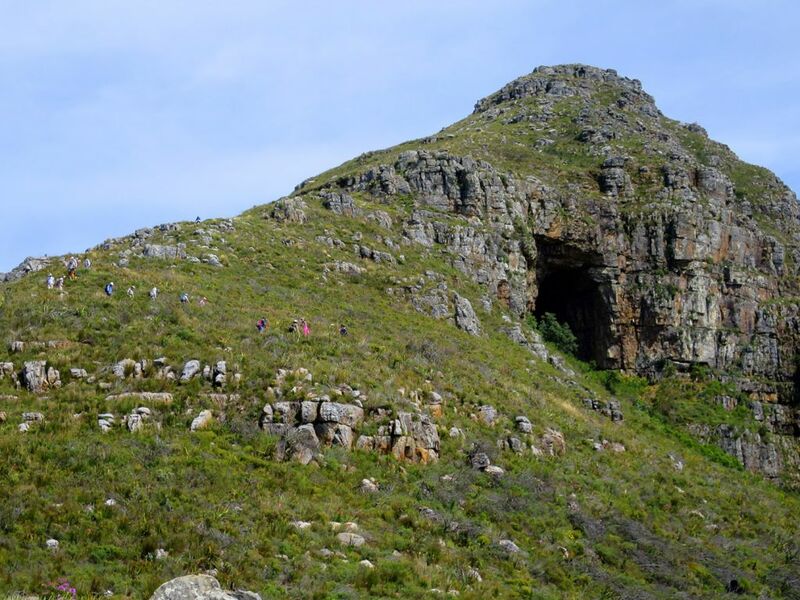 Every stop elicited complaints – from only some of our party- that they were being attacked by miggies. 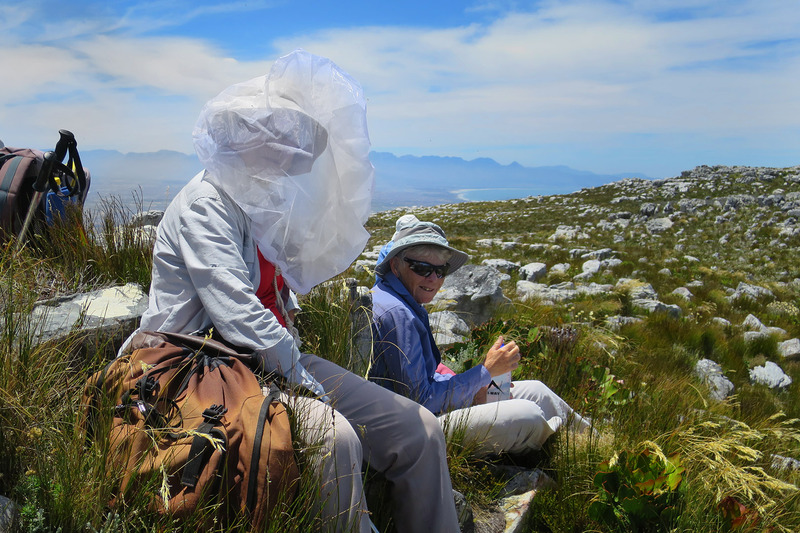 (See picture of Margie under her netting.) 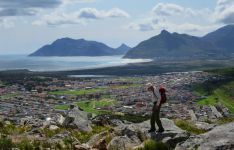 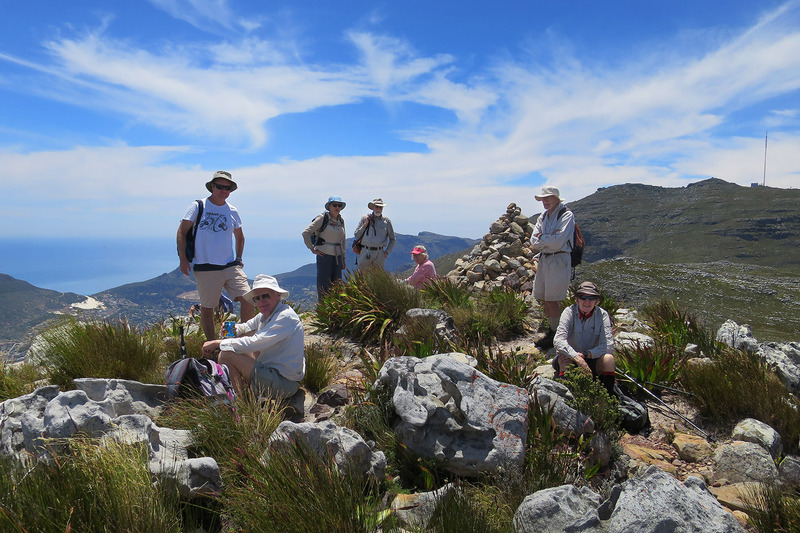 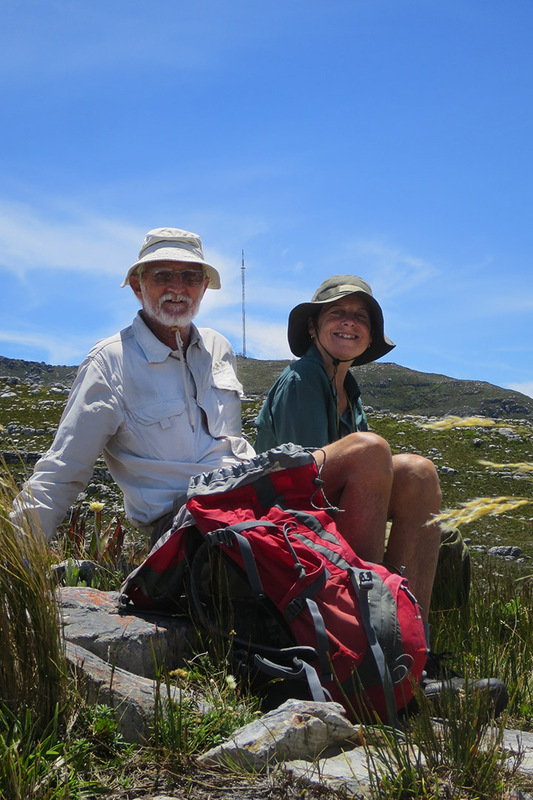 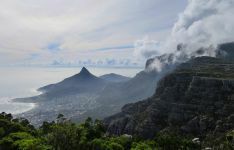 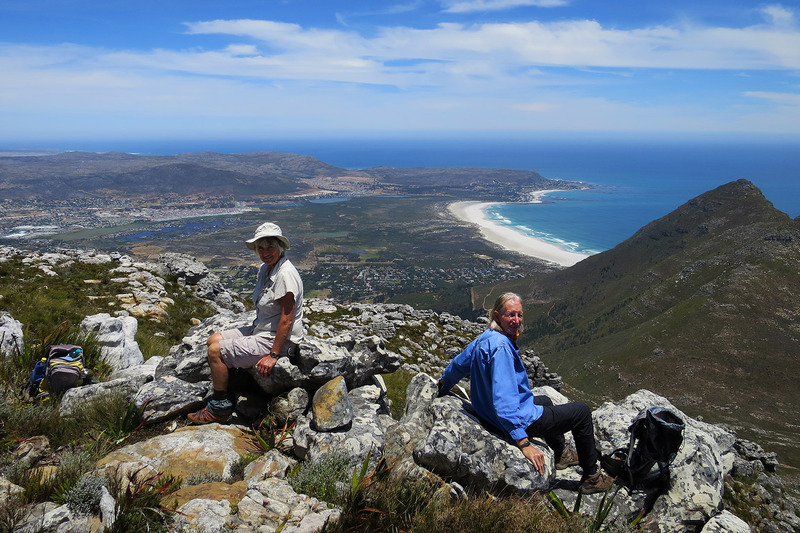 Due to the bug attack, a hurried lunch was had on the top of Noordhoek Peak . 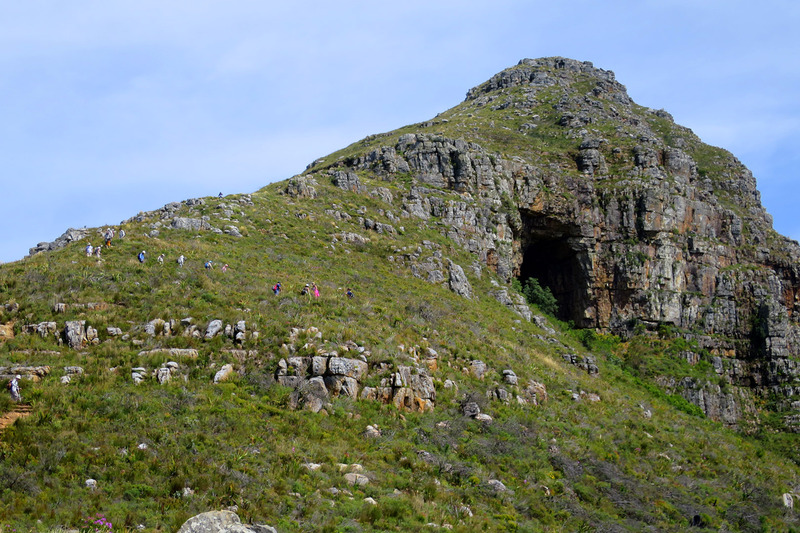 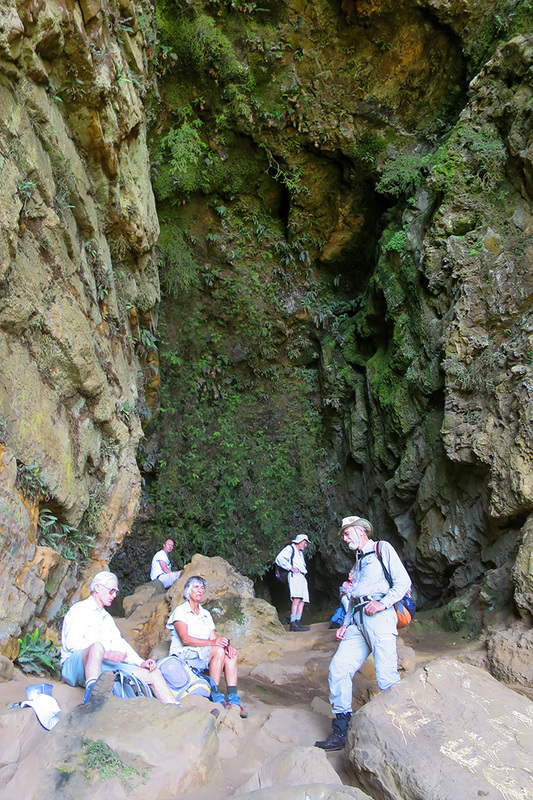 We set off back down to the cars via the Ampitheatre path, arriving as planned at 14h30.